The problem with liking, shall we call it; “unpopular”, or as we may like to call it; “classical” music is that the record stores across Greater Vancouver likely don’t carry copies of the albums that you’d love to buy. So How to Get Hard-to-Find Music-Tracking down CDs, LP’s, and yes, even cassette tapes, is also difficult if you’re trying to find import versions, singles or other uncommon releases by your favourite artists. Even sites that allow you to legally download digital copies of your beloved music have large gaps in their offerings. You’ll be able to find commercially-released albums by your favourite artists, but what about the earlier CDs? Fortunately, there are several great places to look – both online and in your own neighbourhood – for legal copies of music that’s just not easy to find. These tips and hints will help you build your CD collection and digital music library with the best of the rarer selections. Music lovers usually hit record stores first. Many, however, neglect to check out places like thrift stores and your local pawn shops. You never know what you’ll find in these stores, so give them a chance before you pass them up. At our 8 Common Exchange locations across BC, we often have hard-to-find albums, singles, imports, CD’s, LP’s, and yes, even Tapes every now and then. 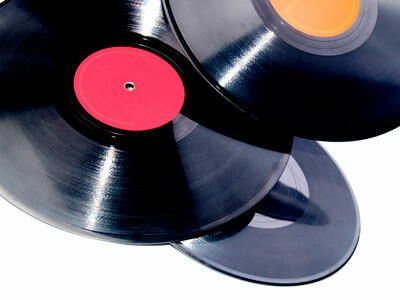 Online record stores often carry larger selections than you’ll find at local outlets or chain stores. In many cases, you can create a user account and sign up to be notified when an album on your wish list becomes available. If you sign up with several online stores, you can sit back and wait for the e-mails to come in when one of them locates the CDs that you want. If that doesn’t bring the results that you want, try a CD swapping site. Places like SwapACD allow you to trade albums directly with other members. In many cases, they work on a credit system: the more albums you send out through the mail, the more you can request. This is also an inexpensive way to find great CDs, as most swapping sites only charge a few bucks (or less, in some cases) per CD that you request. Online auction sites are also great places to look. People buy and sell rare music all the time, so you might be able to find a copy of the CD that you’ve been tracking down for years. Sometimes the artist’s Web site will have information about past releases. You just might be able to find a few leads this way. If the info is not posted somewhere on the site, look for contact e-mail addresses. The person who receives your e-mail just might know exactly where to find that coveted album. Another great way to find rare albums is to post your wish list in relevant Internet forums. In many cases, other music lovers will be more than happy to point you to the CDs that you’ve been trying to find. Just make sure to post only in relevant forums. Spamming Web sites is a great way to get yourself banned. Even though the Internet is a virtually-endless place that’s filled with all sorts of people and merchandise, you shouldn’t neglect local searching. For all you know, a CD that you’ve wanted for the last decade is three blocks from your house right now. You should also cultivate friendships with the people who work at local record stores. These small, independent shops usually see all sorts of CDs that the larger, chain stores don’t. If you’re friendly with the guys and gals who sort through incoming albums, they might be persuaded to set some aside for you. If all else fails, you can always take out a classified ad in every newspaper that you can find. This might seem like a desperate move, but it just might be the action that leads you to the album that you really want.